Making science part of the public conversation is the aim of multiple actors, but the lack of strategies and coordination weakens the impact of science communications and hampers the exploitation of untapped potential. 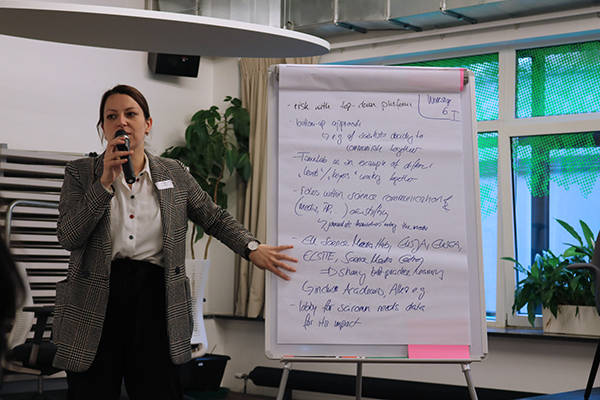 Researchers, science communicators, industry stakeholders and policy-makers sought to discuss this and other key challenges ahead to improve science communications at the European level in a one-day workshop in Brussels on 17 October 2018. 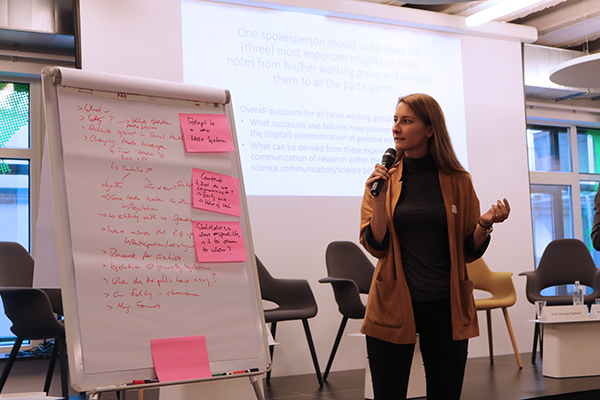 The participants analysed the status quo of current science communications initiatives across Europe, and discussed future strategies and opportunities for creating new platforms for cooperation in this field. 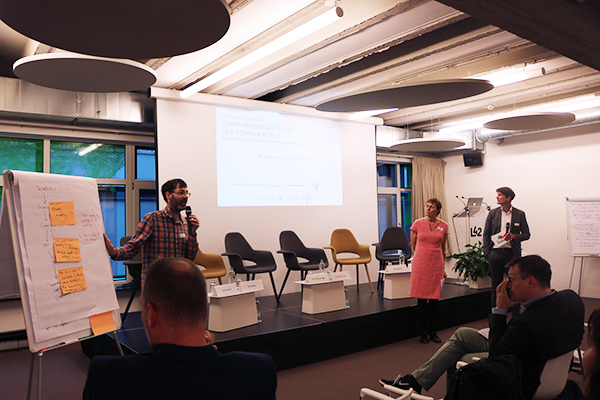 The event was co-organised by public engagement platforms in Germany and Sweden, Wissenschaft im Dialog and Vetenskap & Allmänhet, and the European Science Events Association (Eusea), as well as with the collaboration of ALLEA as partner, and sponsored by Bayer. 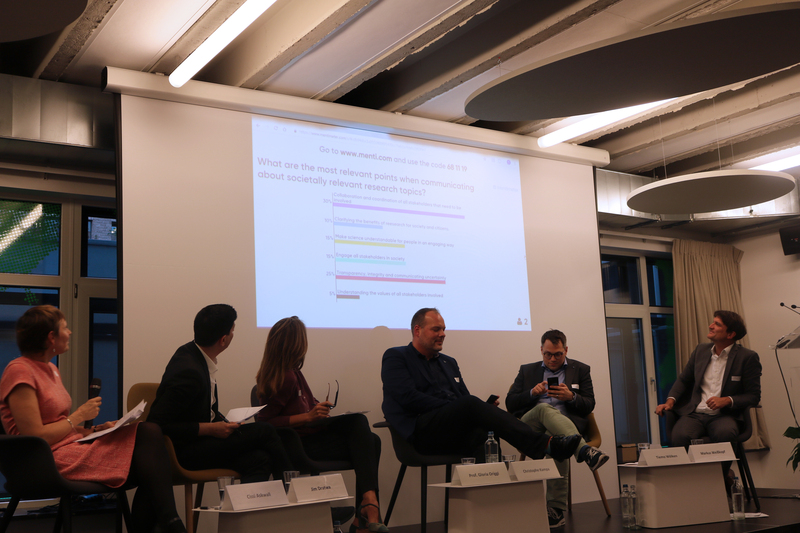 From left to right in the panel discussion, Jim Dratwa, (European Commission); Tiemo Wölken, (European Parliament); Professor Gloria Origgi (CNRS Paris and member of the ALLEA Working Group Truth, Trust and Expertise), and Christophe Kampa, (Bayer). Is science losing the ground in communications across Europe? 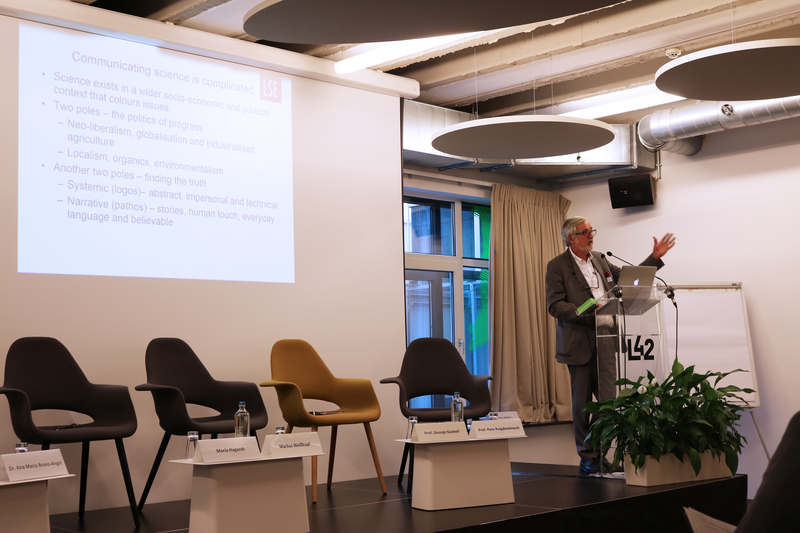 The contestation of scientific facts, the degradation of science journalism and of scientific reasoning on social media platforms has the potential to severely undermine the relationship between science and society. 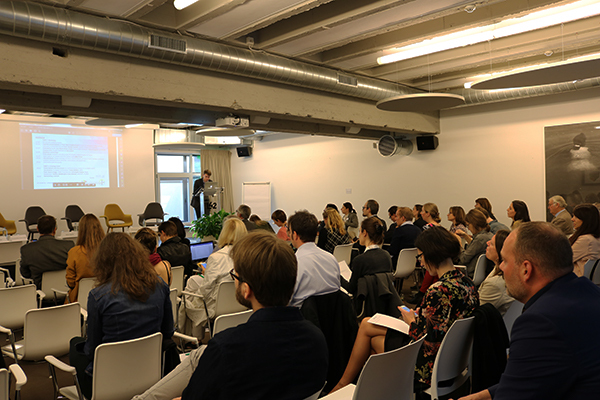 In a series of breakout sessions, researchers, science communicators, journalists and policy-makers assessed current examples of successes and failures of science communications and its particular challenges in complex scientific fields such as genome editing. 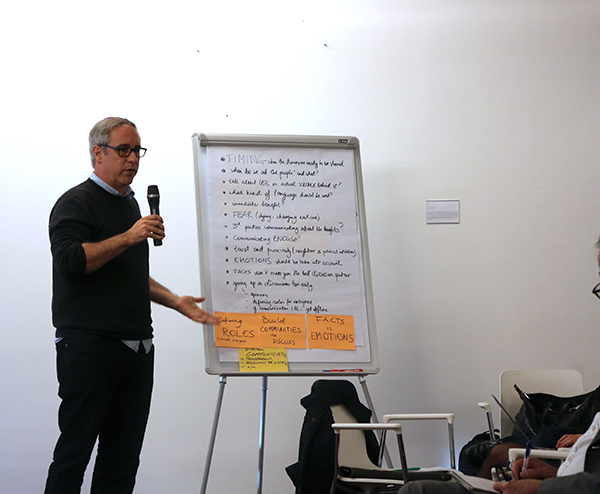 Following a series of impulse presentations, including by Professor Pere Puigdomènech, member of the ALLEA Board, participants deliberated on new formats of science communications in social media and citizen science, the science advice system across Europe, and opportunities for further cooperation and coordination through science communications networks. 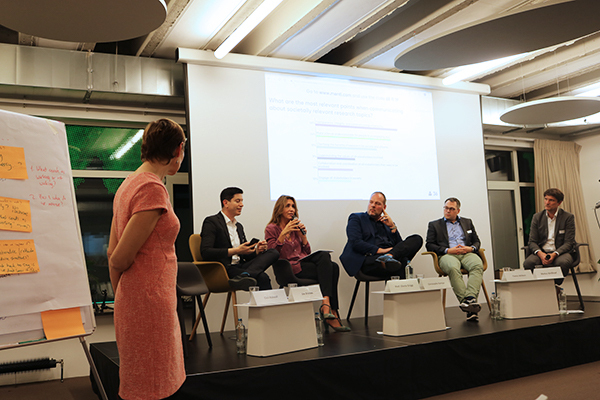 In the evening, an interactive panel discussion brought together representatives of ALLEA, the European Commission, the European Parliament and industry to debate the results of the morning sessions. Speakers included Jim Dratwa, Head of the European Group of Ethics Office at the European Commission; Tiemo Wölken, Member of the European Parliament and representative of the Committee on the Environment, Public Health and Food Safety; Professor Gloria Origgi, researcher at the CNRS Paris and member of the ALLEA Working Group Truth, Trust and Expertise, and Christophe Kampa, from Bayer Digital & Innovation Communication. Panelists highlighted the necessity to increase the transparency and integrity of the scientific system and called for more efforts to explain the uncertainty of science to the public. 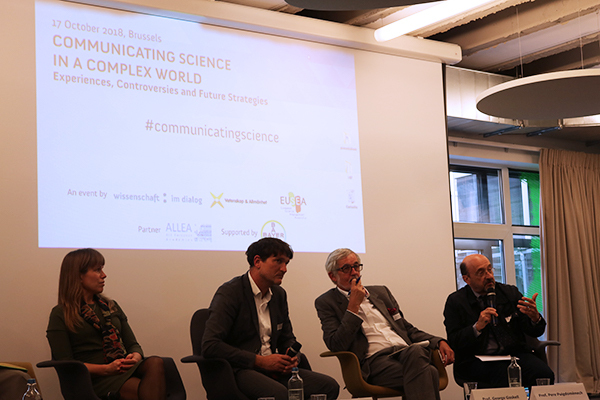 A particular focus of the debate was the primary aim of science communications, which the panel situated between the two poles of raising the awareness of science in the public sphere and increasing the scientific literacy of citizens. The results of the workshop will be gathered in a report to be published in Euroscientist. 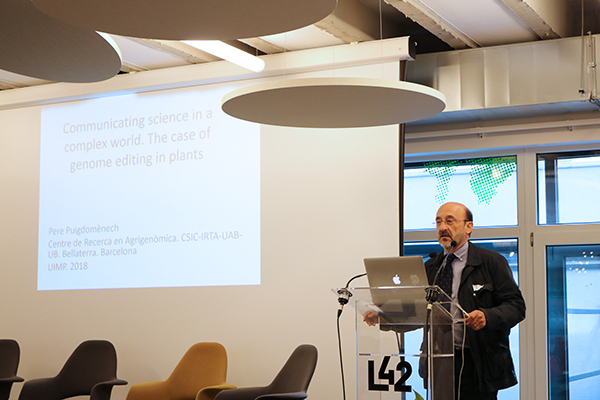 Professor Pere Puigdomènech, ALLEA Board Members, delivers an impulse on genome editing and communications at the workshop “Communicating Science in a Complex World” in Brussels on 17 October 2018.